We hold expertise in presenting a compact range of Scaffolding Couplers to our deemed patrons. 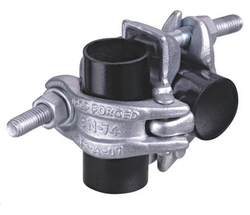 Manufactured with precision, this range comprises Fixed Couplers, Swivel Couplers, Sleeve Couplers, Scaffolding Couplers and others. In addition to this, customers can avail this range from us in various sizes, grades and other detailed specifications that stand tall on attributes such as fine finish, resistance against corrosion and low maintenance. 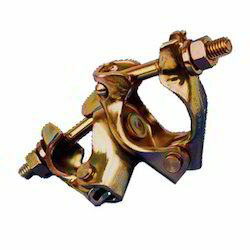 In addition to this, our couplers are manufactured as per industry laid parameters to meet patrons needs and demands as per industry laid parameters. Being a client centric firm, we provide our customers with a high quality of Swivel Couplers. 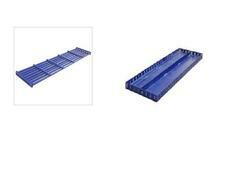 These products are manufactured using high quality material procured from the most renowned vendors of the industry. Latest techniques are utilized in the manufacturing process, under the supervision of our expert professionals. Every product is several times quality tested before delivery to the customers by our team of quality controllers. 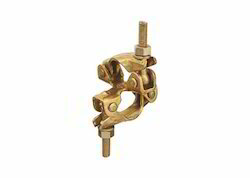 We are leading and highly respected manufacturer of Scaffolding Couplers; scaffolding clamps; RIGHT ANGLE COUPLER in high quality, durable and cost-effective scaffolding fittings and ancillary equipment. We have earned domestic and international reputation as preferred suppliers for projects large and small. Scaffolding fittings are used with complete confidence worldwide in construction, refurbishment, power-stations, petrochemical and oil-related industries. Having stocks at various city like: Bharuch, Dahej, Surat, Bhavnagar, Jamnagar, Rajkot, Gandhidham, Amreli and Mumbai ACME is a leading and highly respected preparer of high quality, durable and cost-effective scaffolding fittings and ancillary equipment. We have earned domestic and international reputation as preferred s for projects large and small. Heavy Duty Painted Prop. Manufactured by employing advanced machines and using premium quality medium class pipes, these props have outer as well as inner membranes. Also, our professionals strictly follow the norms and standards already laid by the industry while manufacturing these props. We have been supplying our quality chalie frame to all over India. Available in different sizes, these scaffolding chali are made using finest quality material that ensures long life and strength. Highly used in construction industry to build buildings and large structures. Various sizes available on demand.